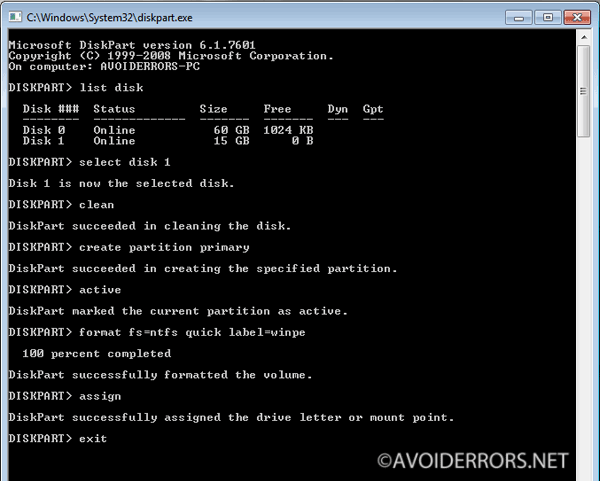 This tutorial describes on a step by step process how to create a bootable Windows 7 PE USB disk. 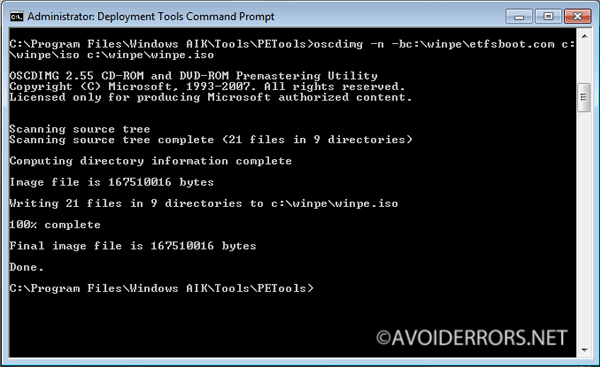 What is WinPE: It is used to prepare a computer for Windows installation, to copy disk images from a network file server, and to initiate Windows Setup. Windows PE is not designed to be the primary operating system on a computer. A computer running Windows 7. A USB at least 2 Gigabytes (GB) or larger. 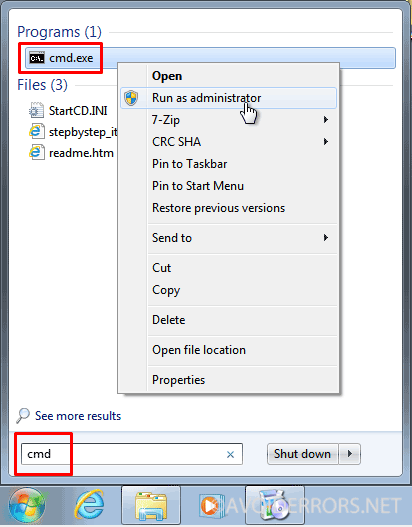 Download and install 7 Zip. 1. 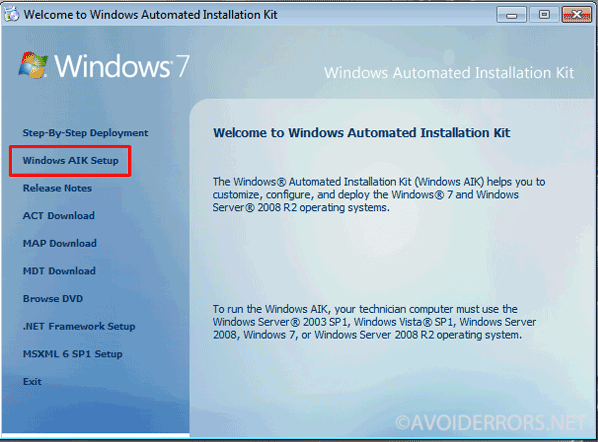 Download The Windows Automated Installation Kit (AIK) ISO for Windows 7. 2. 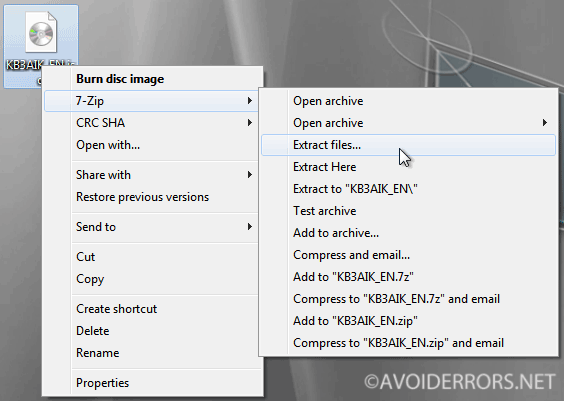 Create a folder on your desktop called “AIK“. 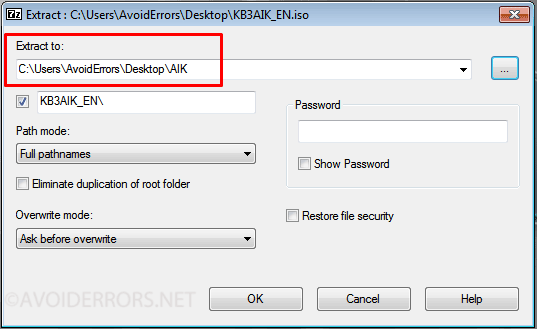 Then right click the recently downloaded Windows Installation Kit ISO and extract it using 7 zip to the folder called AIK. 3. 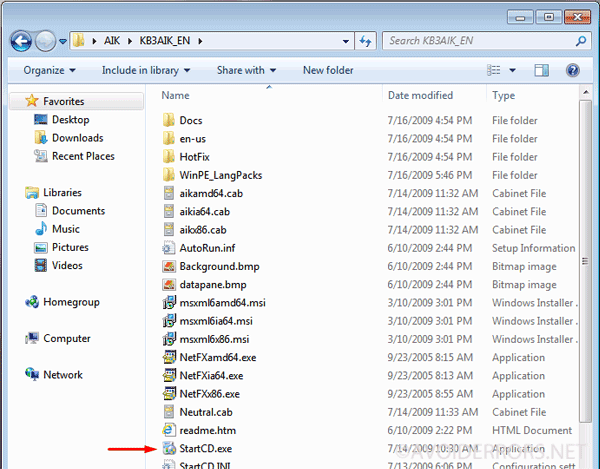 Once extracted execute StartCD.exe inside the AIK folder. 4. This will open the Automated Installation Kit. 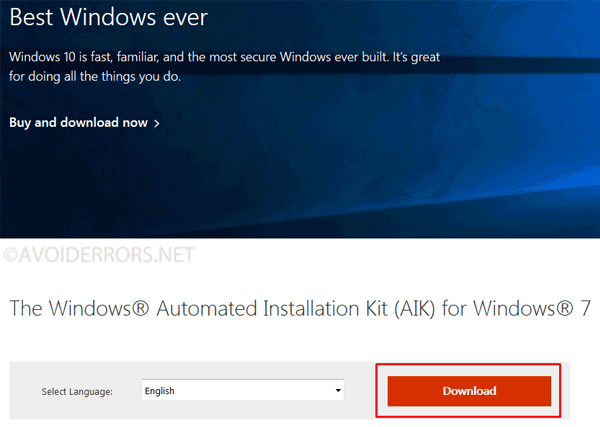 We need to install it by selecting Windows AIK Setup. 5. Leave the defaults settings and continue the installation by clicking on next. The installation process could take quite some time. 6. 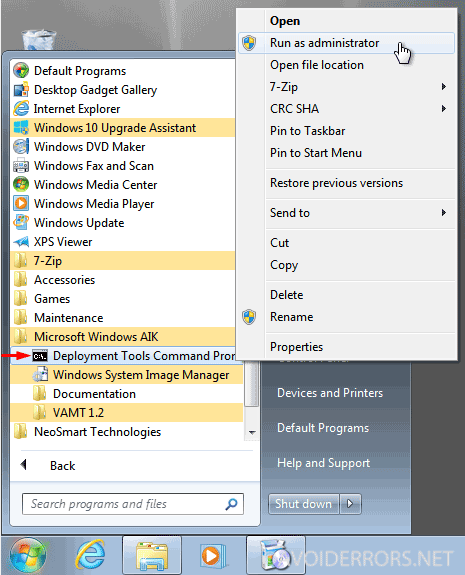 Now click on Start, All programs and look for Deployment Tools Command prompt located inside Microsoft Windows AIK folder. Right click it and run as administrator. 9. Now attach the USB to the computer. 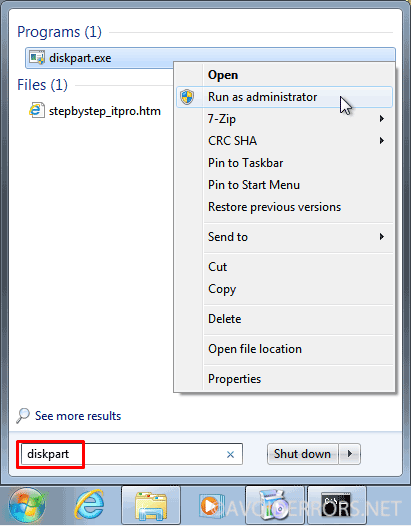 Then click on Start, search for “diskpart” and run it as administrator. 1. Type list disk and hit Enter. 3. Type clean and hit Enter. 4. Now type create partition primary and hit Enter. 5. Type active and hit Enter. 5. 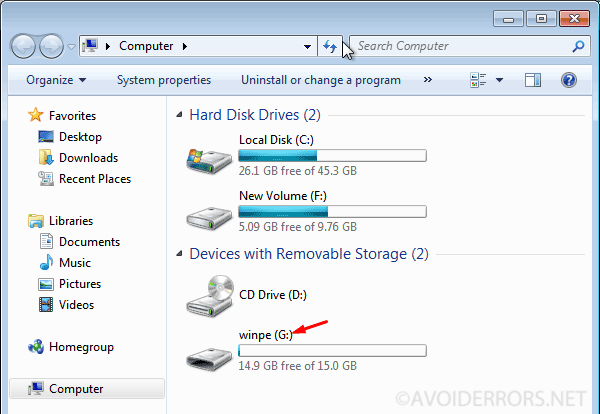 Now type format fs=ntfs quick label=winpe and hit Enter. 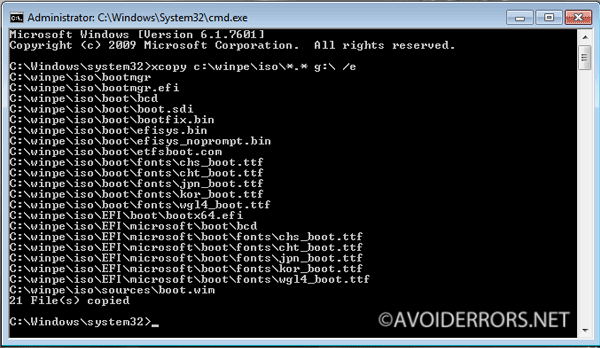 This command will format the partition using NTFS. 6. Type assign and hit Enter. This will assign a drive letter to the partition. 7. Type assign and hit Enter. 8. exit and hit Enter. 1. 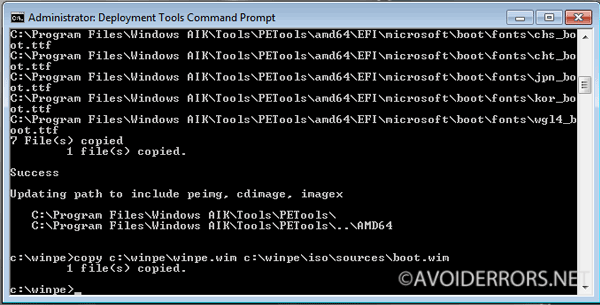 Open the command prompt as admin. G: being the USB drive letter. It might be different in your case. Done. We have created a Windows PE USB drive. 1. 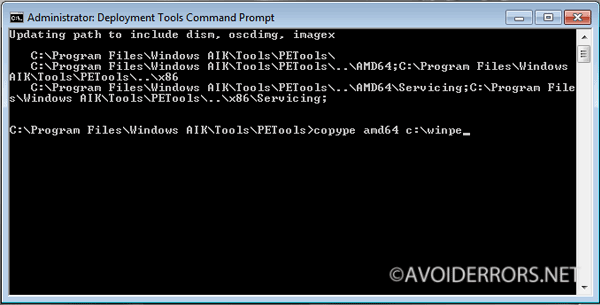 Click on Start, All programs and look for Deployment Tools Command prompt located inside Microsoft Windows AIK folder. Right click it and run as administrator.